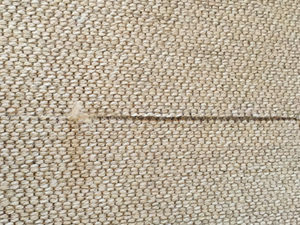 What Are The Pros and Cons of Sisal Carpet? 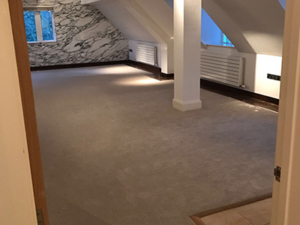 Sisal carpet is quite a popular carpet – many rental properties are fitted out with them and they are “on-trend”. So what are the pros and cons of this carpet? Hugely durable carpet due to the heavy duty fibres. It’s limited neutral colours means it will go with any decor. Sisal is super absorbent, in fact it can act as a natural dehumidifier. It is a low maintenance carpet. Due to its absorbent qualities, it is prone to staining – which isn’t ideal if you have a family or pets. It is quite expensive and has to be fitted fully to the floor or underlay – adding to the fitting costs. It’s roughness makes it quite harsh to walk on and feels quite solid. It is difficult to clean as you cannot use a wet shampoo. I wouldn’t choose Sisal Carpet, and here is what I would choose instead. Personally, it depends on the circumstances of course, and everyone’s needs are different, but if given a choice, I wouldn’t choose Sisal Carpet. For me the cons far outweigh the pros in terms of having to live with something day-to-day. 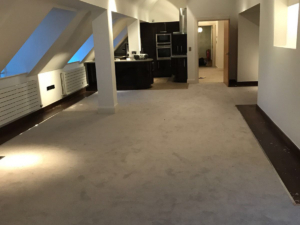 I was recently asked by the owners of an extremely nice apartment to change their Sisal Carpet. This is how it looked previously. I recommended Lugano, which is a heavy domestic 100% polypropylene twist pile fitted on top of Cloud 9 11 mm underlay. It benefits from a short and tight pile which is bleach cleanable. Ideally suitable for everyday stains and not only that, it’s a delight to walk on. As you can see from these pictures, the Lugano carpet even looks comfier – and it suits it’s surroundings perfectly. 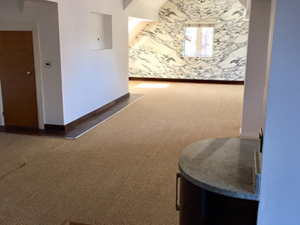 There are none of the poor joins of the previous Sisal Carpet and the client was thoroughly delighted with the switch. Have you had Sisal Carpet and had any problems with it, or have you found it beneficial in any way? Leave your comments below.